Productions include: Project Hush in development with Theatre Clwyd; Day to Go - an immersive poetic journey through the town of Barry aboard a bus. The Container, by Clare Bayley, produced by Sherman Cymru & the Welsh Refugee Council;The Pillowman, Aberystwyth Arts Centre,The City, Sherman Cymru & Living Pictures. 'Our Place' a new site responsive theatre project made with Geographers as part of a Leverhulme Artist in Residence project at Swansea University. Project Hush - a site-specific production set in a former weapons factory in North Wales, which was used during WW2 to develop the atomic bomb. A Night in the Clink - fine dining and stories from hmp cardiff, served with a sprinkling of Foucault. A Night in the Clink is a new site responsive production being developed by Papertrail and supported by the Sherman and Arts Council of Wales. Created & directed by Bridget Keehan. Written by Branwen Davies, Matthew Bulgo & Tracy Harris. Here's a link to an article about my new company Papertrail & the launch show Day to Go which opens tomorrow. That's fantastic you're making a show with the mighty Anna and in Barry! Just looked at your website. Sorry I missed it as my greek welsh family were stalwarts of Bindles. 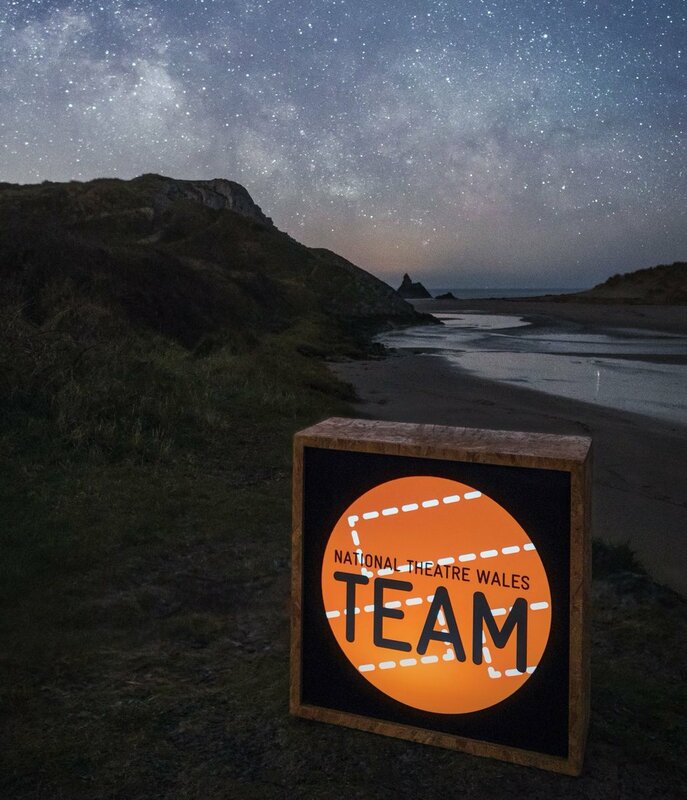 Am in London mostly but in Wales this weekend for NTW meeting & to see Raw Material. I noticed the Barry Bus project you ran with wales lab and wondered if you would be able to help me with some Barry knowledge.I am one of the organisers for an open-mic event called Word4Word which is predominantly spoken word and poetry but often, and is encouraged, has variations such as monologues, songs, fiction etc.. WELL NTW TEAM are planning to take the event along to Barry as part of the summer mini festival and was in need of some contacts around the area to help me locate people who would be interested? So was wondering if you knew any already existing poetry nights OR anyone you feel would be interested in the event such as writing groups or college lecture's, well anything you could think of really. Thats very kind of you to say, thank you. It would be a pleasure to work with you in the future. I'm so sorry about the late reply, I have been in the South of France. This sounds very interesting, I love The Pillowman; Martin McDonagh is a favourite of mine. I'm rehearsing for a film from the 23rd - 26th in London so unfortunately it looks as though it may clash? will have a look around the site!